If you have recently moved into a new property and it has a garage it is strongly advisable to carry out a few safety checks to ensure the garage door is safe to operate and is not likely to cause injury to you or your family. 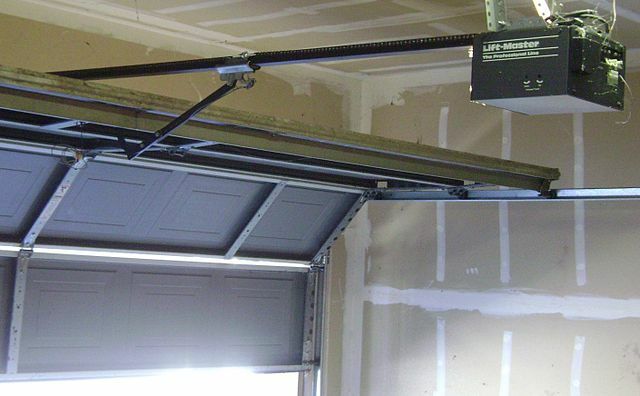 This is important due to the fact that garage doors are heavy moving objects and as a result have the capability of causing serious injury or death to the user should the door fail in an uncontrolled manner due to improper installation and maintenance. As such here we take a look at the main points to look for and how to rectify the fault should it one be present. Please note however this is intended as a guide only and should not be relied upon. If in doubt contact a local specialist installer to do the work for you. If you currently have a manually operated garage door fitted to your property then it would suggest that the previous homeowner only tended to use the building for occasional storage. As such you can pretty much guarantee that the door will not have been serviced in some time (if at all). As such due to this limited use parts can become brittle over time, steel components may have rusted and individual fixings may have worked loose. Start by looking at the exterior panels of the door. 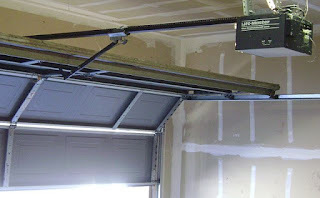 Steel garage doors should be free from rust, sharp edges and should sit squarely within the frame. If on inspection rust is apparent this should be treated with some kind of inhibitor to prevent further corrosion the repainted as soon as possible to prevent further deterioration in its condition. In comparison if the door is constructed from timber you will need to look for signs of rotting or splitting of the timber. Again if any damaged areas are found the timber will need sanding back, filling them a coat of stain should be applied to provide protection against further water ingress. The next stage of the inspection requires you to go inside the garage to make an assessment of the moving mechanical parts. Working methodically, start at one side and go around all the fixings ensuring they are tight. In addition to the fixings check the condition of the cables to see if they are rusting or frayed. When doing this you will also need to check the bearings and rollers to ensure they run freely. Any signs of damage to the components will require remedial action such as replacement parts or additional lubrication may need to be added to create a smooth opening and closing action to be achieved. Following on from the first 2 steps the next area to inspect is the tracking mechanism for dirt, debris or blockages that may affect the doors operation. Be careful when doing this as certain parts can be sharp and could cause you injury. The last step of the inspection is to see if the spring tension on the door needs balancing. To do this simply lift the door half way up and it should stay right where it is. If the door panel drops tension will need adding whereas if the door continues to rise open spring tension will need to be reduced slightly. Please be aware when making any adjustments yourself that the spring is under a large amount of tension already and as a result has the potential to cause a nasty injury when making adjustments so if you are not sure what you are doing at this point always call in the professionals to complete this task for you. Once these 4 steps have been complete you can be safe in the knowledge that the door is unlikely to injure anyone and will continue to operate in the correct manner until the next time it is due for a service. According to RollerDoors Ltd, if your garage door is automated then you will need to carry out some extra checks in addition to the ones detailed previously. Whilst this may seem a little time consuming it is important to note that one fitted with a motor a garage door is classed as a machine and as a result must meet certain safety requirements in order to comply with legislation. Improperly fitted motors are an accident waiting to happen, therefore follow these steps to check for proper operation. Check how secure the connection is between the door and the motor. If the connecting bolts need adjustment this should be done using the correct size tool to prevent damaging the fixings. Run the door to the open position and wait for it to stop. Place a small object such as a piece of wood under the area where the door will close down onto. Once this is in place set the door to close. As the door closes onto the object the motor should sense the obstruction and automatically stop, reverse itself to allow the object to be freed then stop again. 1. If the motor does not stop then it would indicate an issue with the force limitation device. If this is the case contact a specialist installer to make the adjustments for you. In conclusion, carrying out maintenance checks on your garage door is a simple process that can help to prolong the lifespan of the components, ensure the door runs smoothly but most importantly of all ensures the door is safe for you and your family to operate.